We use top quality outdoor grade, USA made, vinyl materials to make professional grade vinyl stickers for our customers. 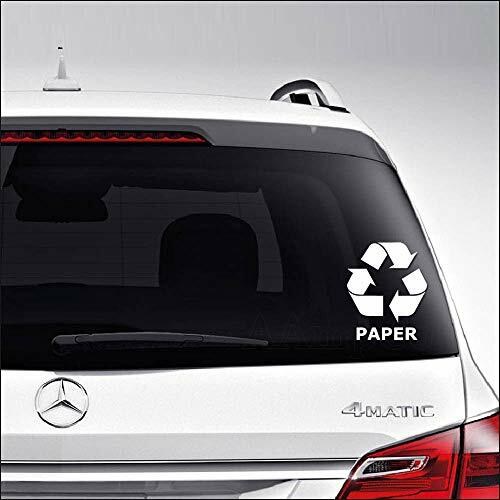 Vinyl decal stickers are great for all kind of uses and can be seen all over on vehicles, motorcycles, helmets, laptops, windows, and much more. Stickers can be applied virtually on any surface, but best on hard smooth surface for long term. Custom request are welcome and usually at no extra cost, such as: flip graphic to face left or right, minimal resizing, or different sticker color than ones being offered. So send us a message along with your order. Here is list of available vinyl colors for your request: Gloss Colors- WHITE, BLACK, BLUE, DARK BLUE, SKY BLUE, BROWN, GOLD, GRAY, GREEN, LIGHT GREEN, ORANGE, PINK, HOT PINK, PURPLE, RED, SILVER, YELLOW and Matte Colors- WHITE and BLACK. These are vinyl die cut decal stickers and the background is clear and see through. Sticker is being sold only. *** PLEASE NOTE: THE STICKER COLOR AND SIZE SHOWN ON THE VEHICLE IS FOR ILLUSTRATION PURPOSE AND MAY NOT REFLECT THE ACTUAL COLOR AND SIZE ***. Please choose your sticker SIZE and COLOR accordingly when ordering.100% USA Made. 6 inch / 15 cm tall vinyl die cut sticker. Clear, no background. High quality 6 yr outdoor grade vinyl. No color fading or cracking for yrs. Simply peel and apply. Hard smooth surface is best.